* you'll need three to four batches of this dough for this recipe. I typically make it as I need it so that it doesn't sit out too long. you want it to be soft and pliable, and letting it refrigerate or sit out too long will result in tough dough. First you'll want to boil your potatoes, sorry I don't have an image for this, I forgot. But you all know how to boil potatoes anyways right? Cook them until they are fork tender and then remove from water, mash and allow to cool completely. 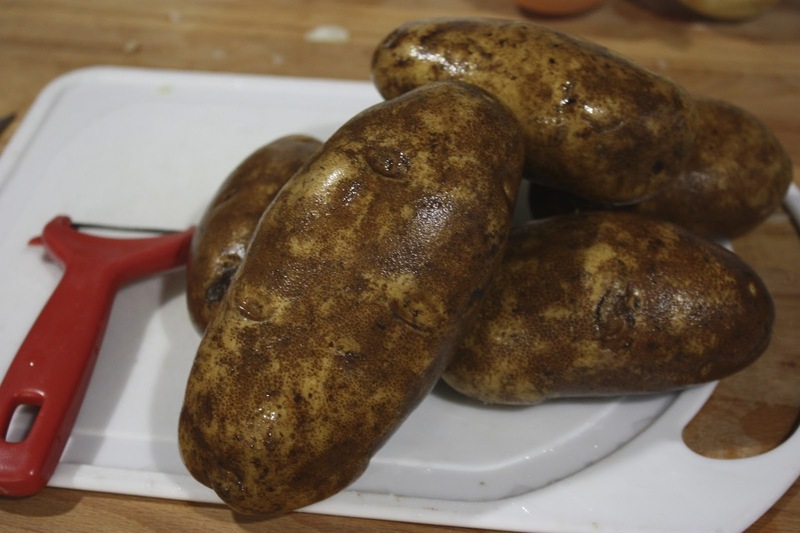 You can also season your potatoes with salt and pepper at this point. 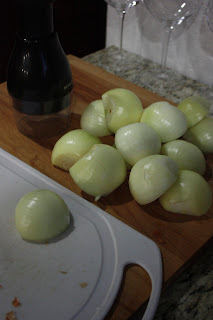 For chopping the onion it is best to use a food chopper, like I did, or even a food processor. They need to be chopped very fine and that kind of work by hand would result in a lot of tears. After all of my onions have been chopped up I like to go through and see if any large pieces that didn't get chopped are in there, and pull them out. 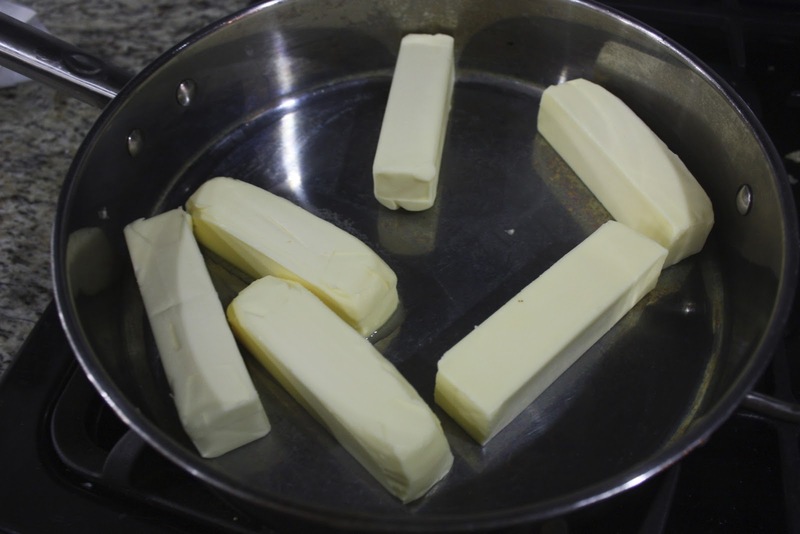 Meanwhile, I melt 6 sticks of butter. I know what your thinking, how could you possibly use this much butter, but when your making 8-10 dozen pierogi and basically just topping them in butter to fry later, not that much butter is actually used. 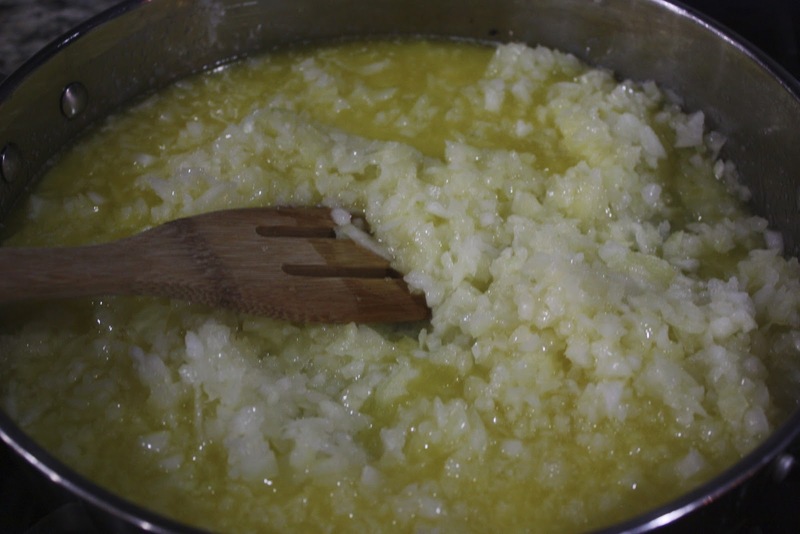 Cook on LOW until butter has melted, and then add your onions, stirring in completely. 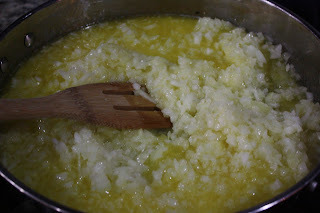 Continue to cook on low until the onions are completly cooked and the butter has clarifyied. This is somewhere in the neighborhood of 3 to 4 hours. 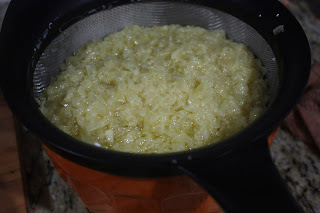 It makes your house smell delicious and doesn't require much supervision other than to stir occasionally. 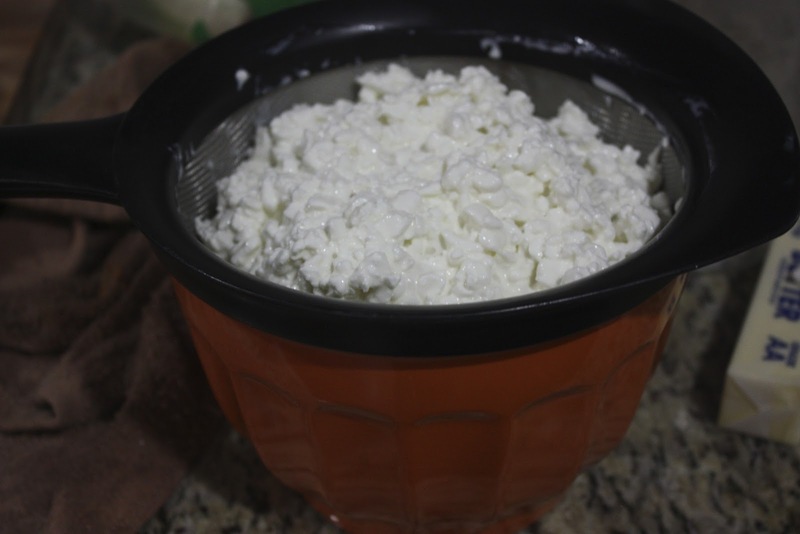 You'll also want to drain the excess liquid from your cottage cheese, by placing 1 tub of cottage cheese in a mesh strainer over a bowl to catch the liquid. 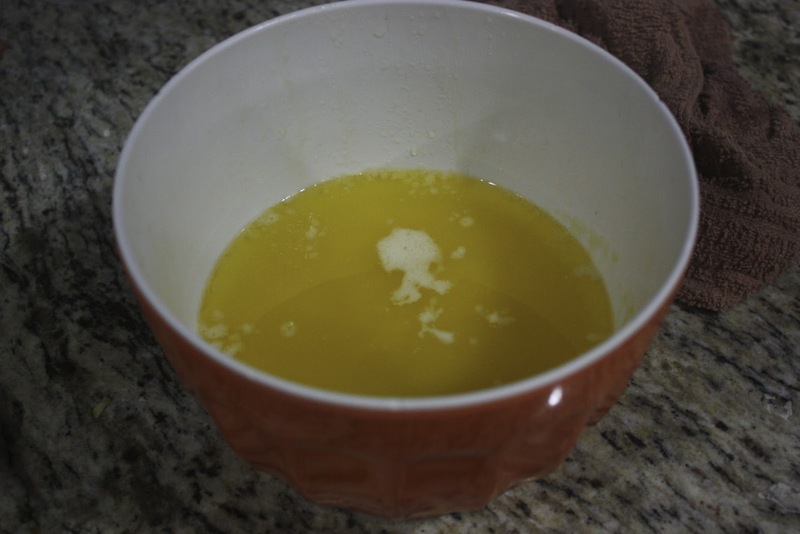 We don't use the liquid for anything, but if you find that periogi filling it too dry you can incorporated a little of this liquid back into the mix. 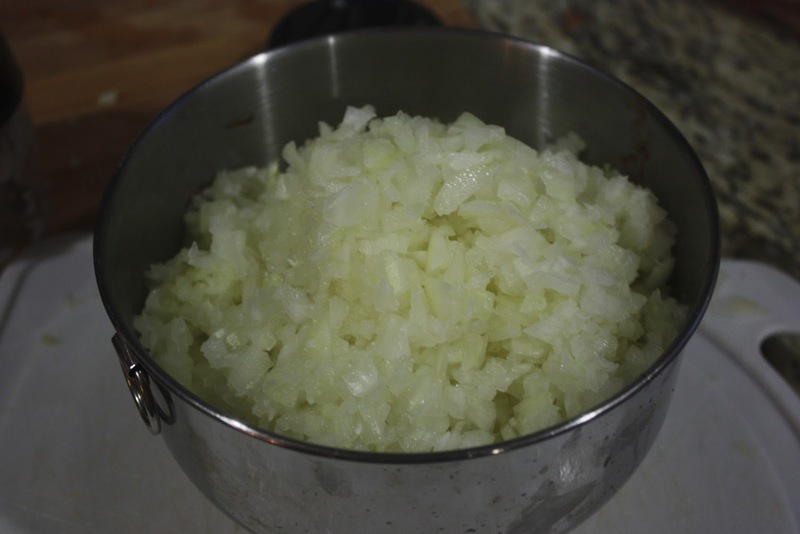 Once your onions have cooked strain the onion butter mixture with your mesh strainer and reserve the butter in a large bowl. The butter can be covered with plastic wrap and placed in the fridge at this point. 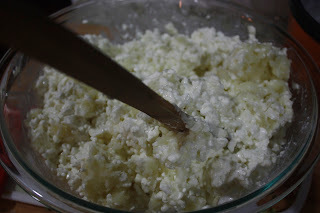 Your onions that have been strained, but not strained completly dry, we want a little of the butter in the filling, can now be added to your cooled potatoes along with your cottage cheese. Mix well, taste and add salt if necessary. 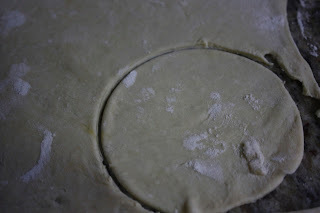 Next is your dough, after making the dough in the food processor you can use it right away. Sometime I make it ahead a put it into the fridge, but it can become very elastic and harder to manage that way. 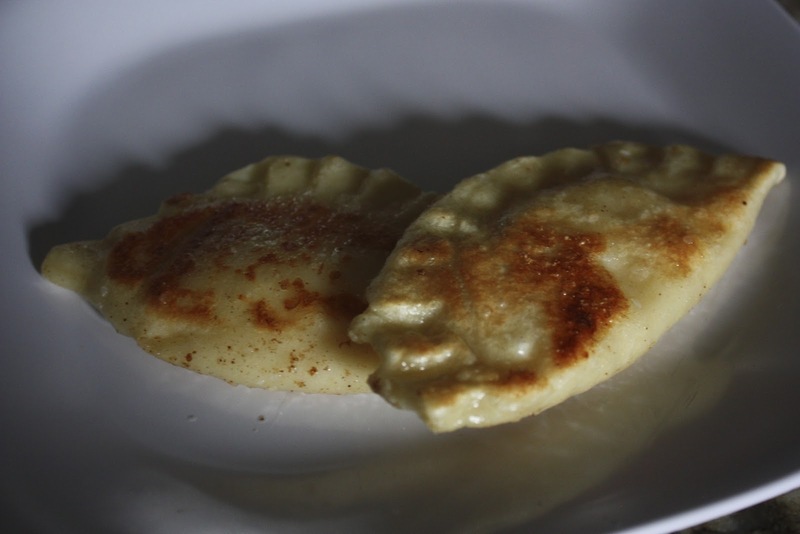 You'll need to roll out the dough as thin as you possibly can, the thinner the better- we want it almost thin enough to see through, thats what makes a light and airy pierogi. I recently purchased a periogi maker, after years of using whatever large cup or glass we could find, this made easy work of peirogi making, and a worthwhile investment for sure at only a few dollars. 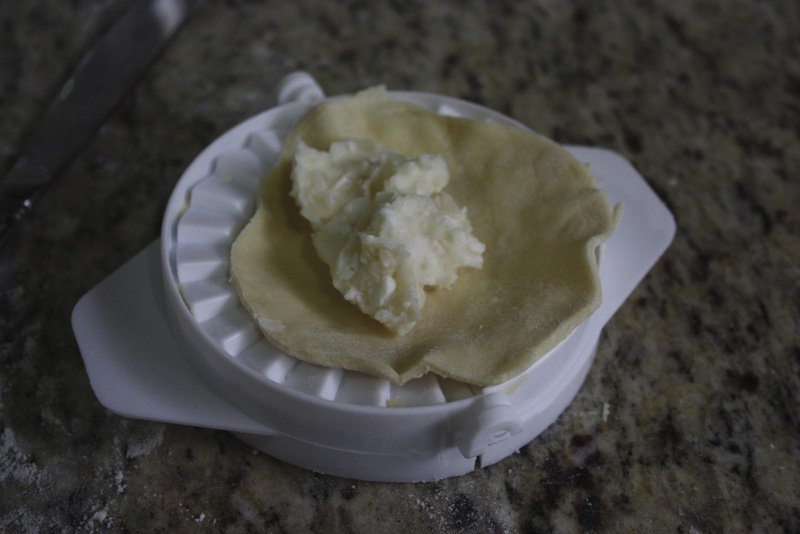 Trace the outline of your peirogi dough, this peirogi maker is a 4" diameter, which makes the perfect size. 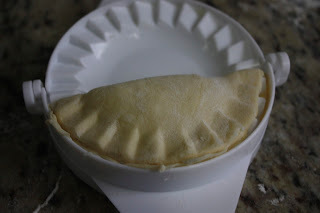 Then using your press add the dough and a spoonful of filling. Press closed and see this little beauty pop out! Reserve on a dry plate until you have a few to boil. Then take a large pot and fill with water and a handful of kosher salt to season. Add your peirogi one at a time to prevent sticking and stir the water gently to prevent sticking to the bottom. 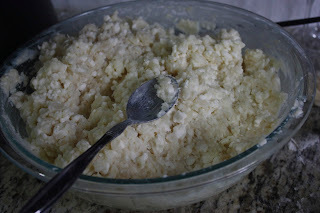 The peirogi will float to the top when they are finished. It usually takes about 2-3 minutes for them to float. 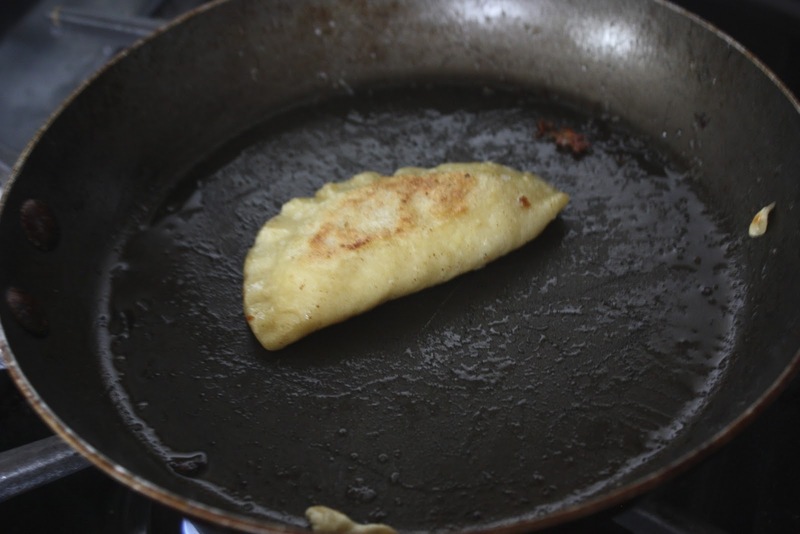 The next part can be a bit tricky, you'll need to dry the pierogi as best as you can and then move the to premanent storage, we use paper plates that can be frozen and stacked on top of one another. 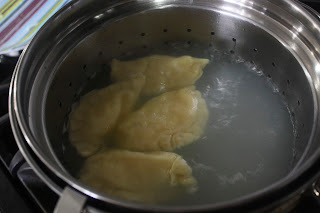 I usually dry my peirogi on a regular plate and then transfer them to paper so they don't stick. You'll want to get out your clarified onion butter, melting it in the microwave at this point. 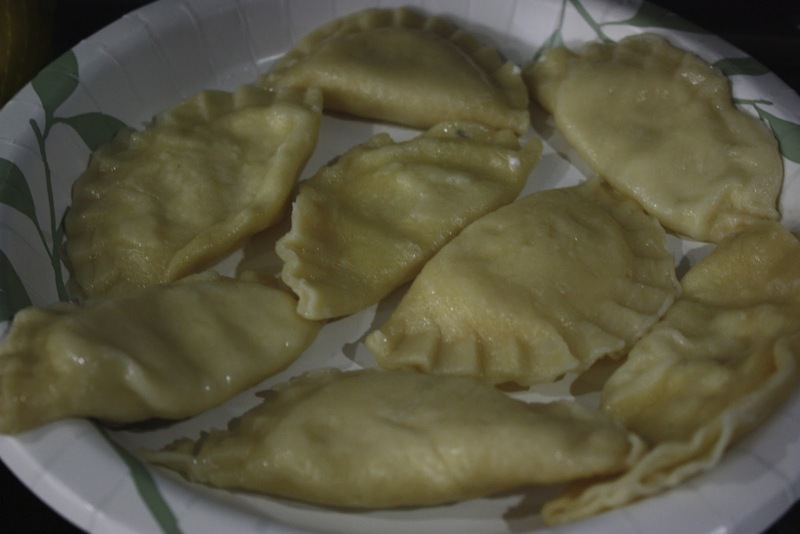 I then take a large spoon and spoon the butter mixture over the pirogi plates enough to coat each one so they don't stick to eachother or the plate after freezing. 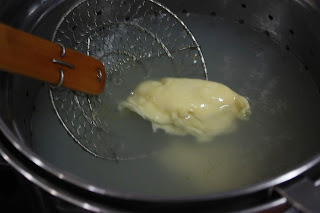 Now for the best part, once the butter has solidified to the surface of the peirogi you can take one and pan fry it in the residual butter. They become toasty and delicious on the outside and are soft and warm on the inside. 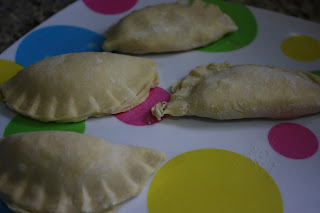 I eat these beauties for breakfast, lunch and dinner, they are amazing!